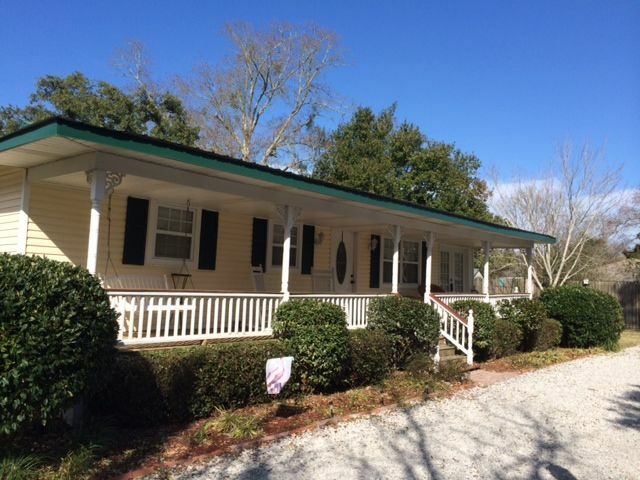 This beautiful 2 bedroom 1.5 bath cottage just 2 blocks from the gorgeous beaches of Gulfport has everything that you need for a wonderful getaway. Queen bed in the master and a full bed in the 2nd bedroom. Fully equipped kitchen with full service bar open to the dining area with seating for 4. Kitchen includes pots, pans, flatware, coffee maker, blender, toaster and more! Large comfortable living room, TV and internet available and a really great sun-porch! Relax on the front porch with your morning coffee while enjoying the ocean breeze. Quiet neighborhood close to the Seabee base and casinos. 2 miles to downtown Gulfport and marina nearby. Convenient, cute, and fully stocked! If we ever travel to Gulfport, MS, again, this will definitely be a place to rent again! It has EVERYTHING. Lovely 2 bedroom home located in quiet neighborhood. Very clean and excellent for a small family getaway. Located in Gulfport and only 15 min. from casinos, 2 min. from beach. If we are ever in the Gulfport area again, we will try and book this home again. Great house - close to the beach! The house provided our family with everything we needed. It was easy to get to and a close walk to the beach. I especially enjoyed sitting on the front porch catching up on my summer reading! Thanks so much for a great last minute visit to the Coast! The Pelican Cottage is an amazing place to stay during your traveling! The Pelican Cottage is a beautiful home! Everything we needed was already there! Very nice An quiet neighborhood, only one block from the beach. Neighbors were very welcoming an friendly. I recommend The Pelican Cottage for your stay while in the Gulfport or Biloxi Area! So glad you and your guest enjoyed your stay while in Gulfport. Thank you for choosing The Pelican Cottage for your stay!